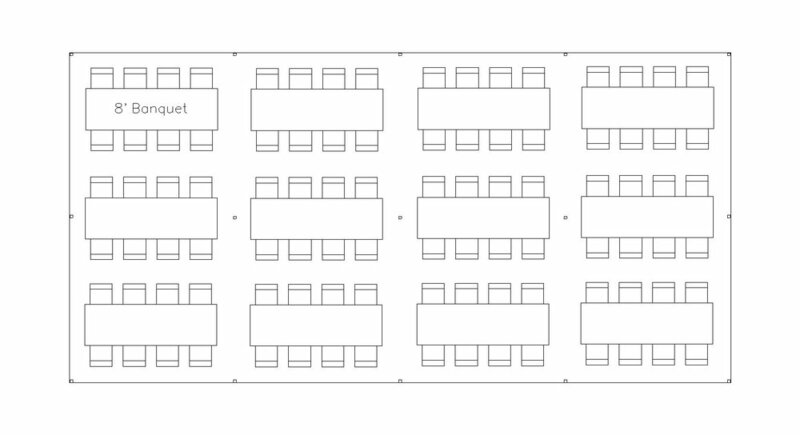 The following seating plans represent the recommended maximum seating for each tent size listed. Keep in mind tables will need to be subtracted when adding food or drink tables, dance floors, bars, staging, head tables, gift tables, cake table, etc. Also, Small Pole Tents have center poles, so these seating plans are drawn with that in mind. If you have a unique layout idea you'd like to discuss, just give us a call!